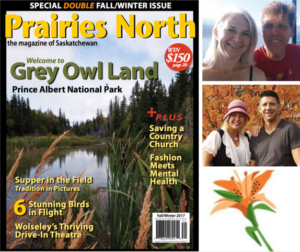 Fall is a season of change, and with the arrival of the special double Fall/Winter issue of Prairies North comes a big change for the magazine: longtime editors Lionel and Michelle Hughes are handing over the reins to Rob and Amanda Soulodre. As the founders of Prairies North (originally called Saskatchewan Naturally), Lionel says he and Michelle had a chance to share uniquely Saskatchewan stories, giving the world a better understanding of why we’re all so proud to be from this place. “The memories we have collected in getting to know the people we’ve written about and those we’ve written for are indelible,” he writes. 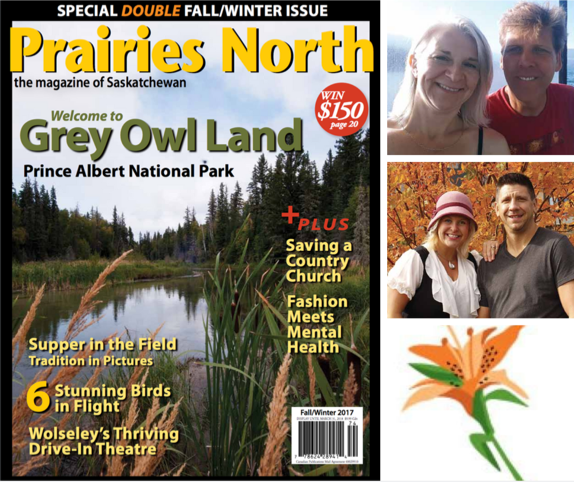 You can read the full letters from the Hughes and the Soulodres in the Fall/Winter 2017 issue of Prairies North.